In 1874, President Grant appointed the North Carolina lawyer Victor Clay Barringer to be the American representative to the International Court of Alexandria, Egypt, one of the first modern international courts intended to be a permanent tribunal for claims arising from international commerce. Barringer had a colorful history. Scion of a respected southern family, Barringer had harbored the Confederate president Jefferson Davis on his attempted flight to Georgia in the waning days of the Civil War. 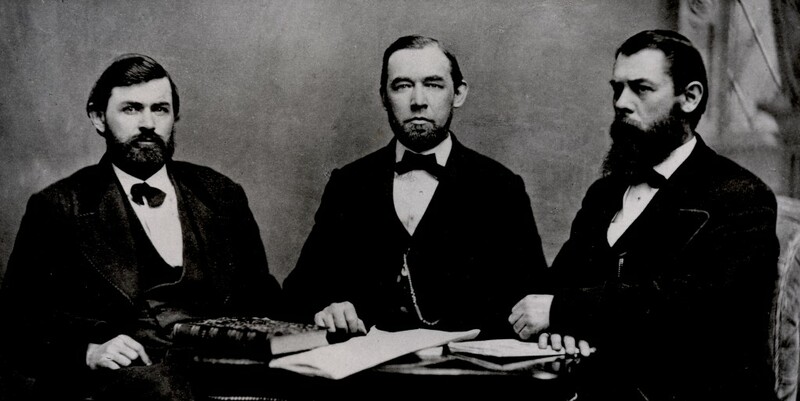 In 1868, Barringer served on a state code commission with the northern radical Republican “carpetbagger” Albion Tourgee and the the southern convert to Republicanism William Rodman. Rodman and Barringer became close friends, and the letter below comes from the Rodman papers at the East Carolina University archives. Barringer presents a fascinating account of international litigation in Alexandria, the new court system, the clash with native Islamic law, and the irony that Barringer was now involved in a second effort (after postbellum North Carolina) to impose foreign laws on an unreceptive population. North Carolina Code Commission, ca. 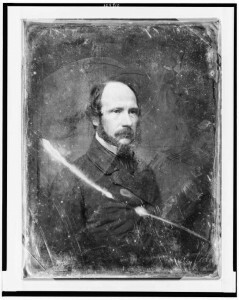 1868. Victor C. Barringer, William B. Rodman, Albion W. Tourgee. The original image can be found in the Albion Tourgee collection at the Chautauqua Historical Society, Westfield, NY.